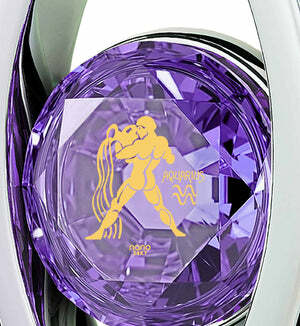 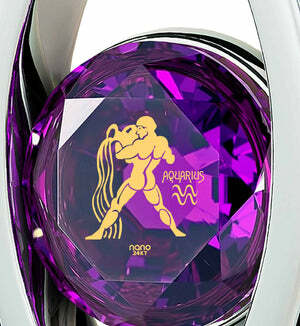 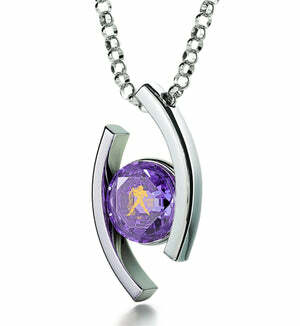 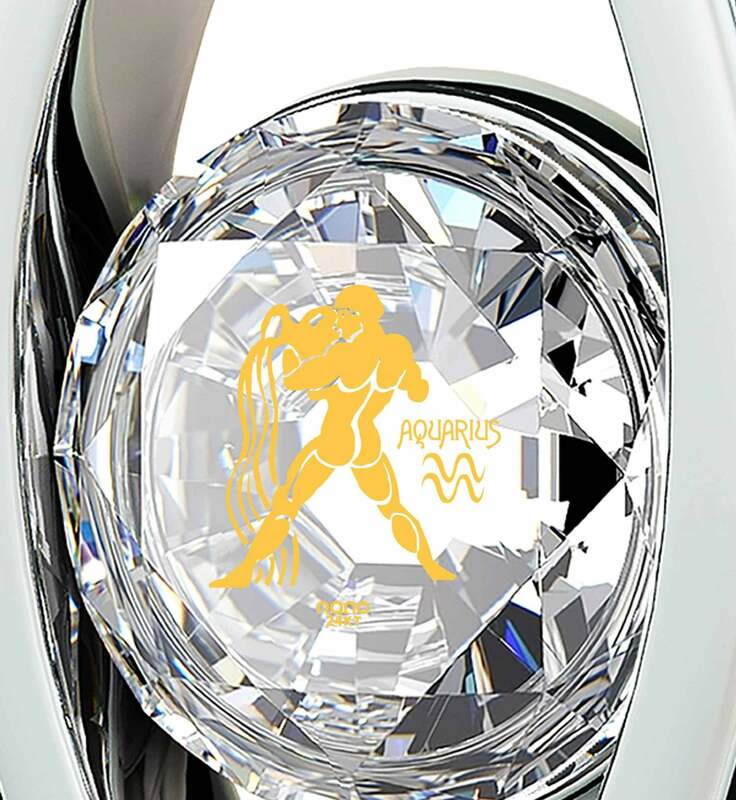 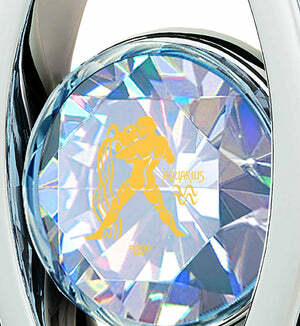 Picking up a present that will leave an Aquarius in a pleasant shock can certainly be a hard thing to do. 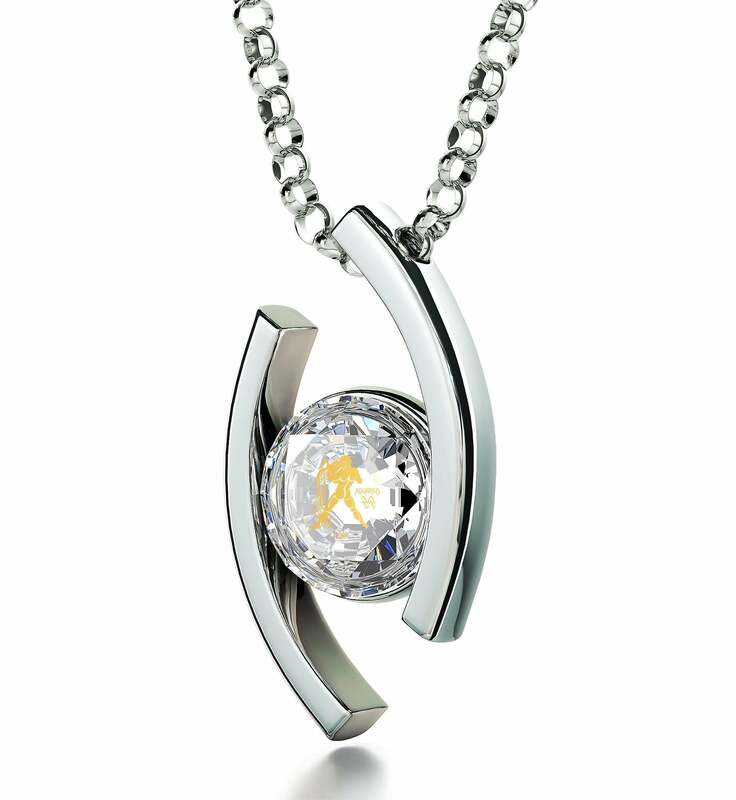 Their combination of honesty and cosmopolitanism makes women born under it likely to have seen it all, and not hesitate to point it out to you when given what you thought was a great gift for her. 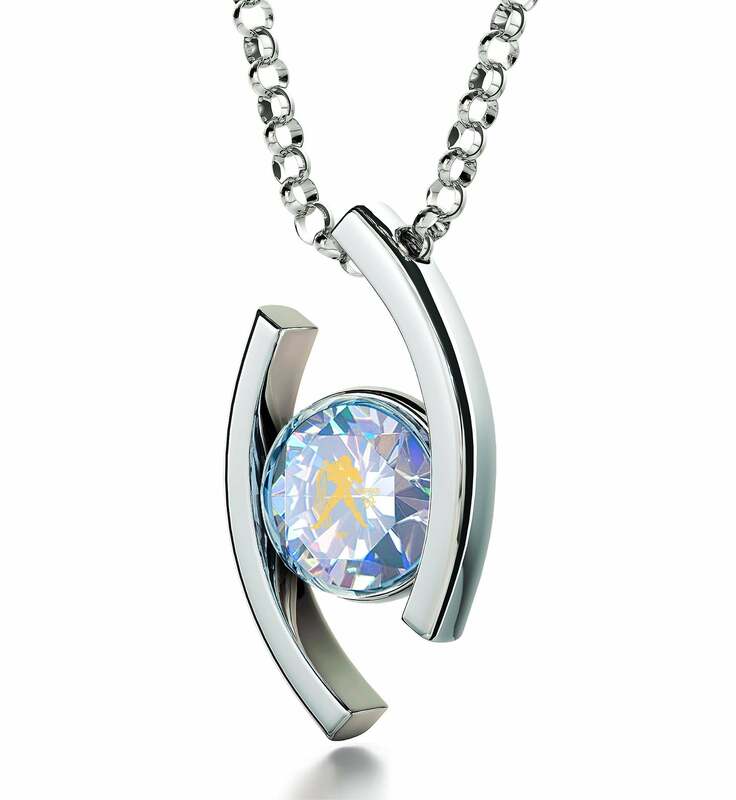 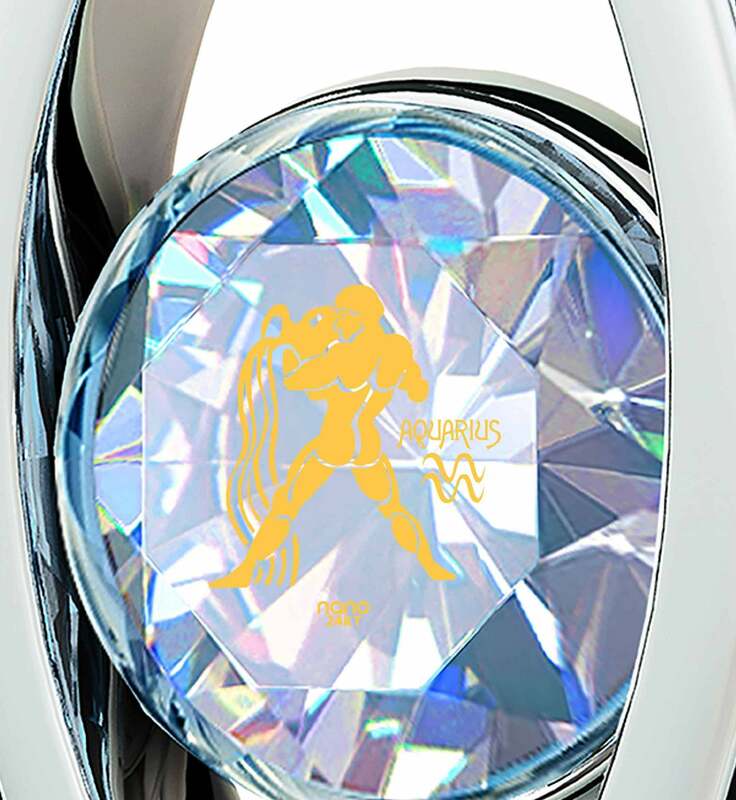 The logical thing to do is surprise her with something she never could have seen before, and the Aquarius necklace seen here is definitely that kind of present! There are many unusual aspects to it. 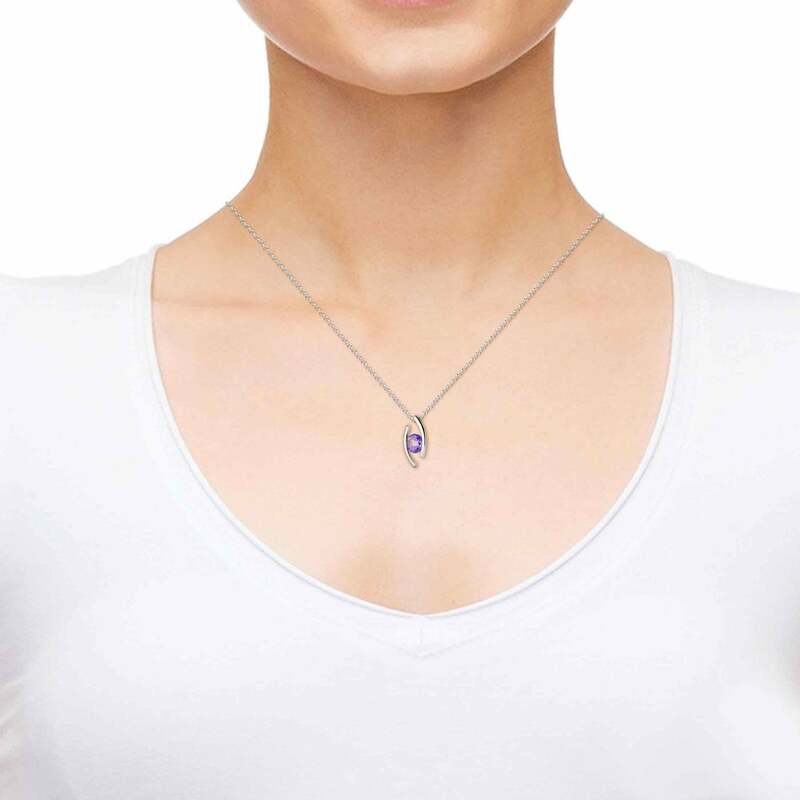 First and most noticeable is its form – coming together into an inquisitive eye, its frame and the Swarovski gem it protects are a modern and intriguing hole that captures attention from afar. Its 24 karat gold imprint, Ganymede the water bearer, shines with piercing golden light and is marvelously detailed. 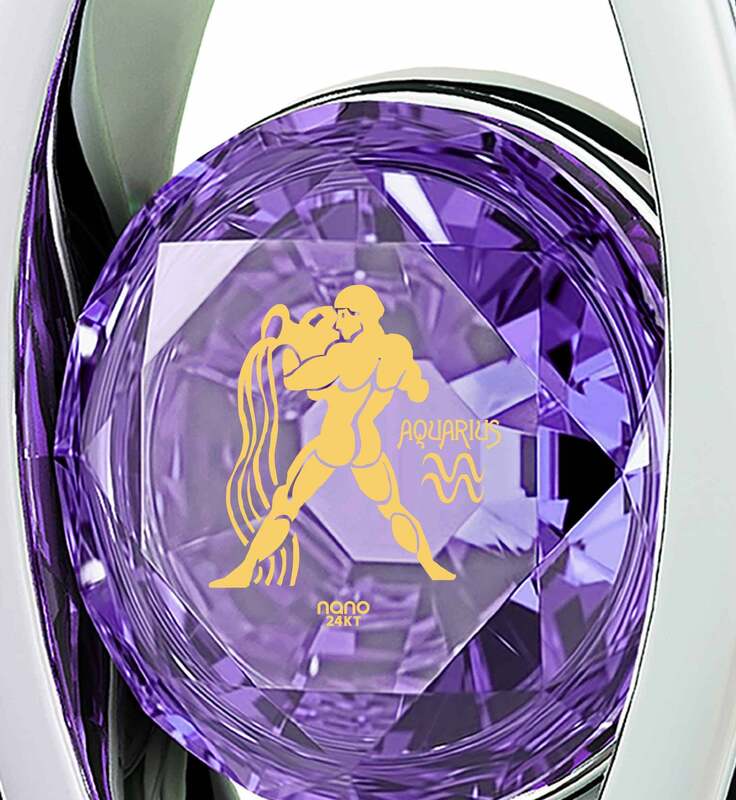 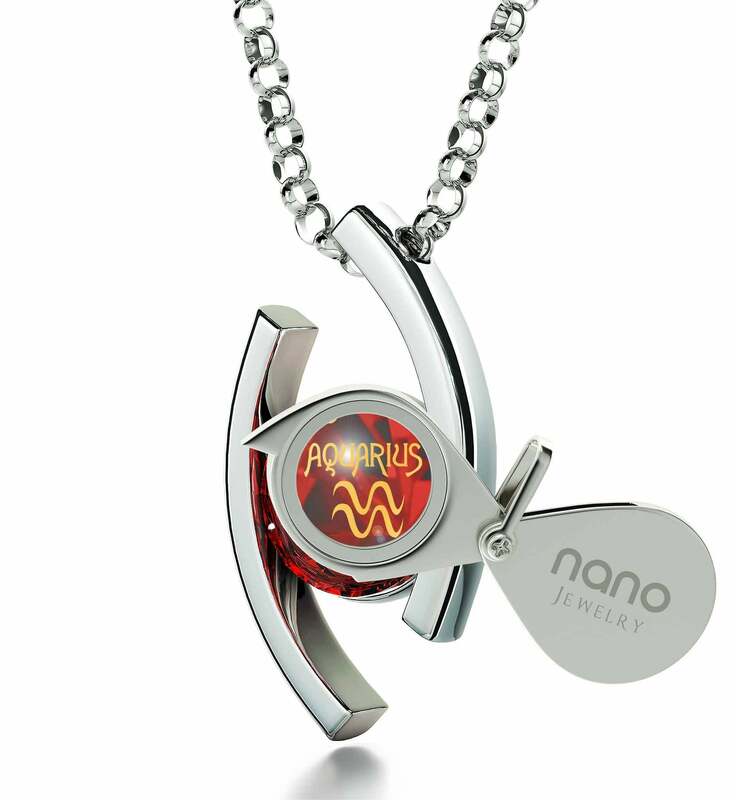 Both the personification of some of her most delightful traits and a detailed golden image that makes this Aquarius jewelry literally impossible to buy from anyone else, it elevates her new necklace to a top gift for women who are in touch with their astrological self, and for those who just want to look amazing at any time of day. 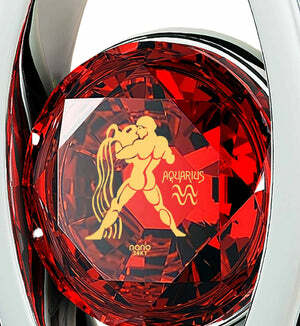 Ganymede is accompanied by the word Aquarius and the symbol which represents it. 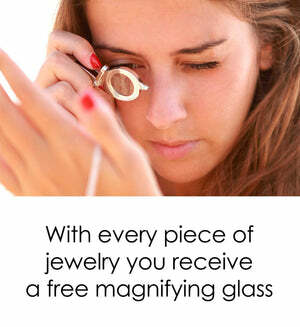 Similarly, the necklace is just the most important part of the womans gift idea, the rest consisting of a cool-looking gift box and useful magnifying glass, both of which are absolutely free. A unique gift for her that’s more than a nice trinket, that’s the appeal of Nano Jewelry!